Beemgee’s servers are located in Nuremberg, Germany. They are superbly connected to the European and worldwide web and provide maximum protection for your data. Any content you save on Beemgee.com is your intellectual property. We will never in any way divulge, disseminate or otherwise do anything with user content or data other than provide the service we offer. It’s not ours, after all. It’s yours. By signing up for an account you make sure that any project you create while logged in is associated with your account. We require an e-mail address as an identifier and collect no further personal data. Payment details are only required if you sign up for a premium account. Don’t want to submit an e-mail address? No problem. 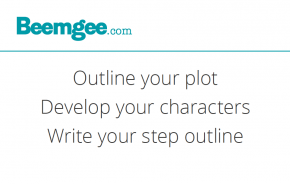 You can use the Beemgee author tool anonymously in guest mode by going straight into the app without registering. We would like to point out that any projects that you create anonymously in guest mode (or without being logged in) will not belong to a specific account. It may later prove difficult to claim ownership of an anonymously created project. For further details, see our privacy statement.